Welcome to Y. S. Kim's Home Page! 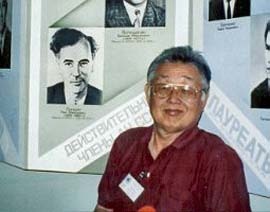 next to Lev Landau's portrait, while attending the Dmitri Volkov Memorial Conference in Kharkov (July 2000). How did I talk to him? Undergradute years (1954-58) at the Carnegie Institute of Technology. 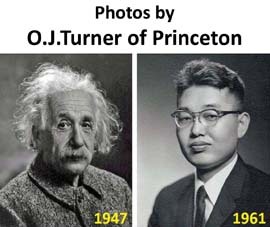 PhD in 1961 from Princeton University. 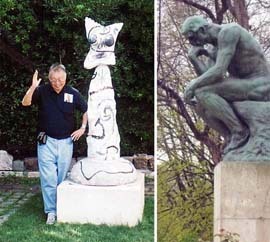 On the faculty of the University of Maryland since 1962. Ranking of the physics programs among the U.S universities. During my early years of research, I did not like the physics environment. Click here to see how much I disliked. In 1962, I met Paul A. M. Dirac. It was like Nicodemus meeting Jesus. I was born again. 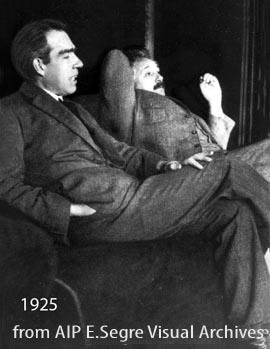 100 years ago, Bohr and Einstein met occasionally to discuss physics. Bohr was worrying about why the hydrogen energy levels are discrete. Einstein was interested in how things look to moving observers. Did they ever talk about how the hydrogen atom would look to moving observers? they left this problem to us as a homework. Which route would you take? Click here for my answer to this question, or read this book. 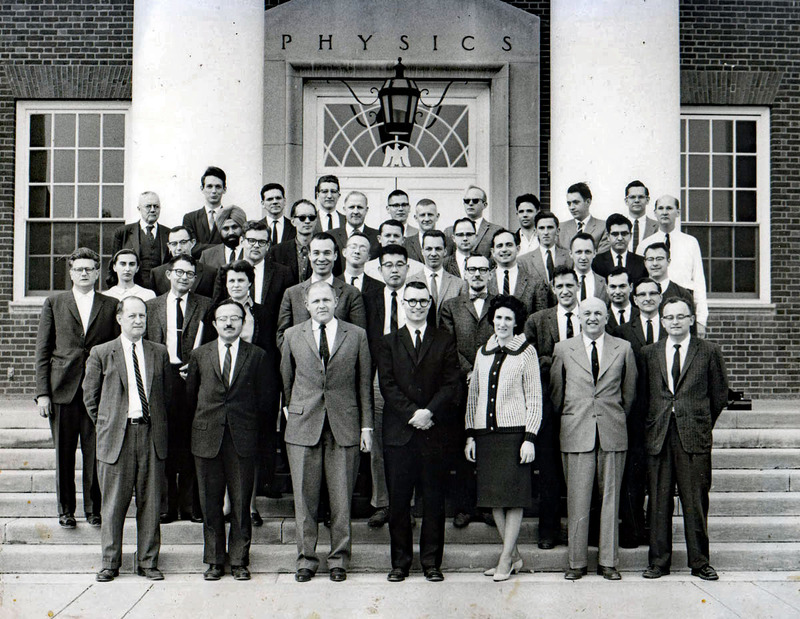 John S. Toll was John A. Wheeler's student at Princeton and came to the University of Maryland in 1953 to build the physics department. 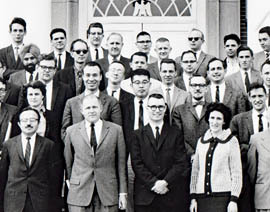 I am the youngest person in this faculty photo of 1963. Click here for a full image of this photo. John Toll used to become very happy whenever I invited Eugene Wigner to Maryland. 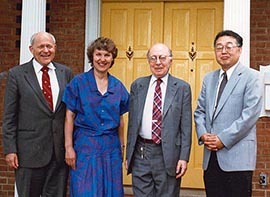 This photo was taken at the Chancellor's mansion in 1986. He served as the chairman of department until 1965. He hired me as an assistant professor in 1962, and I worked for him until 1965 when he went to Stony Brook as the university president. For administrative matters, make appointments with my secretary. For physics matters, come right in. We need more people like John S. Toll in physics. Is physics above money or money above physics? Click here. 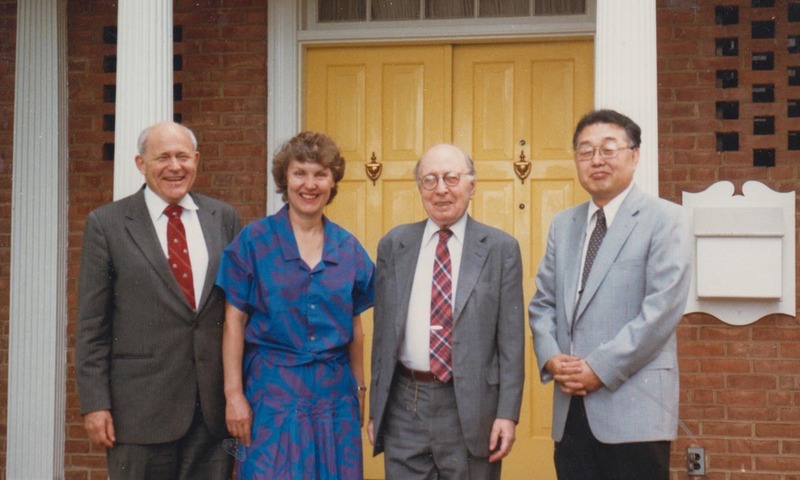 In 1978, Toll came back to Maryland as the chancellor of the State university System, and he became very happy whenever I invited Eugene Wigner to Maryland. Here is my photo with Toll and Wigner. The best thing Toll did for me was to assign me as Dirac's servant when he visited Maryland in 1962. Click here for a story. He was always on my side whenever I had difficult times with my colleagues. In spite of his busy schedule at the Chancellor's office, he used to come to my seminars. I am very proud to say that I am Johnny Toll's boy. 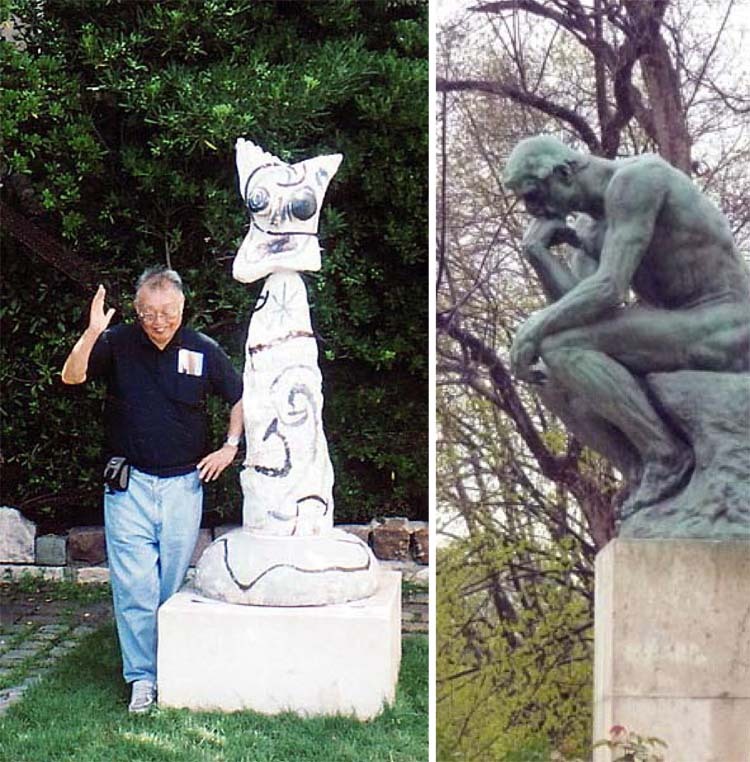 I become very happy when I think, unlike Rodin. 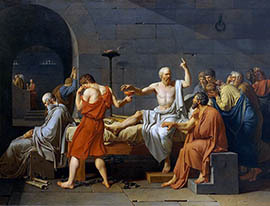 Socrates fought for and stood by what he believed in. It is fun to travel around the world. Further contents of Einstein's E = mc2. Foundations of quantum mechanics, particularly the question of making the uncertainty principle consistent with special relativity. Lorentz group applicable to other areas of physics including quantum optics, condensed matter physics, and classical mechanics. Click here. Professional Activities: Organizing international conferences, internet communication system which privides links to webpages for international conferences. You may click http://www.ysfine.com to see this program. Talking with students on various issues. 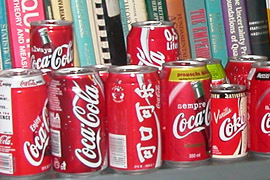 Collecting Coca-Cola cans of different designs from different countries. Digital Literature. How to design webpages? Show and Tell. I like to tell you stories. True Character: I am a freedom-loving boy, and I enjoy talking/listening to everybody in the world. Please e-mail me at yskim@umd.edu if you have brilliant ideas. Click here if you like to know more about me.